Sage 200 Report Designer has a number of functions that you can choose from. These can range from changing the layout of a report to match your company requirements, to adding the company logo to a layout, or adding additional sage fields in the report to get the most out of the reporting. 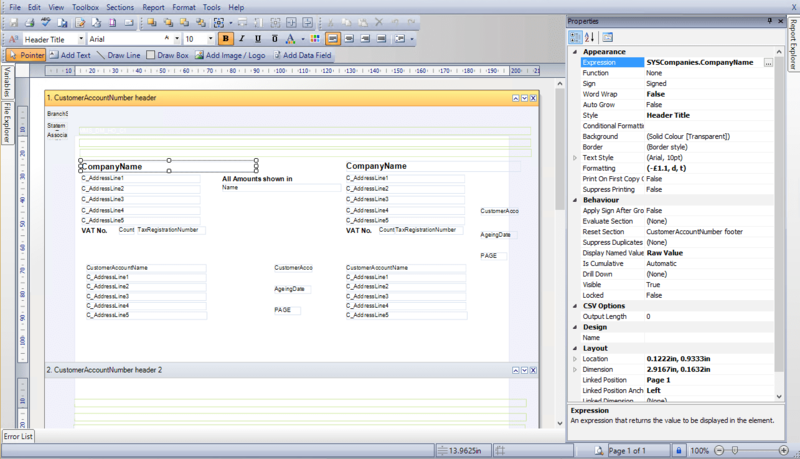 However these are just some of the the basic functions of Sage 200 report designer. This blog is going to outline some advanced functions in Sage report designer that can affect the appearance of your layout and hopefully make you job easier. Expressions are a feature that can allow you to do lots of different things on layouts or reports. For example, you are able to create calculations by adding together different values in a layout or use conditional formatting based on other parameters in the layout. First of all to add an expression you will need to go to the expression Editor. In order to do this, select the field you want to apply the expression to and go to the Properties panel on the right hand side of your screen (if Properties isn’t there go to view and select properties). The top item in this panel is the Expression. 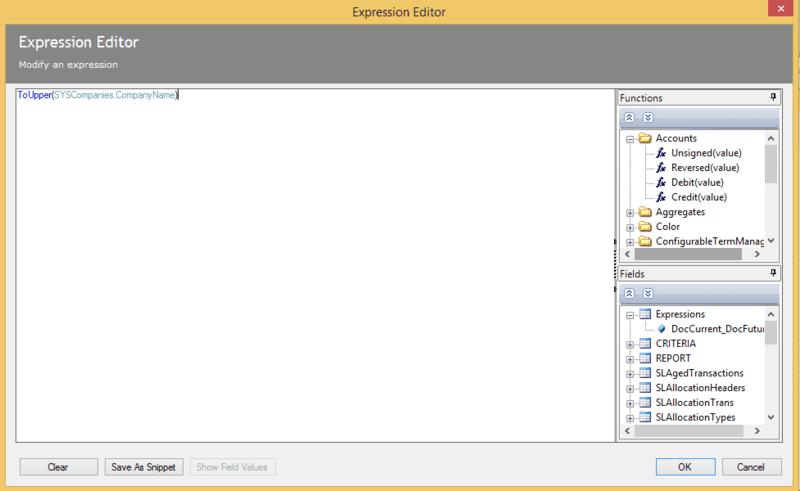 Click on the button with the 3 dots to open the Expression Editor. You will then need to add the expression you want to use and then, in this example, add brackets around the field that you want to apply it to. You can also find the expressions that you want from the box at the bottom right of this screen and then drag them into the editor. It is helpful to know what table the information is in to save time scrolling through the long lists. If you start typing the expression you want similar ones will pop and you can select the required one from the list. Once you have done that you can click OK and your expression will be applied to that field. If you would rather certain text to always show as upper or lower case then you can write expressions to make this happen. This converts the field to upper case. This converts the file to lower case. You are able to make fields do specific things based on the data in the fields by using an if statement. e.g. based on the id of a bank account on a transaction, this could pull through the name of the bank account for you. Displays certain values depending on the condition specified. Totals only the values that meet the condition specified. 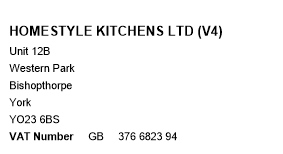 On your layouts, you are able to specify how the numbers are formatted or rounded off. This can help you with the look and consistency of your layouts throughout your system. Rounds the value to the nearest whole number in the direction of zero. The value is rounded up to the nearest integer. Rounds the value down to the nearest integer. In conclusion, there are a number of different things that you can do within Report Designer. However this blog just covers a few that we think are useful to know about. Fancy getting to know a bit more on Sage Report Designer? 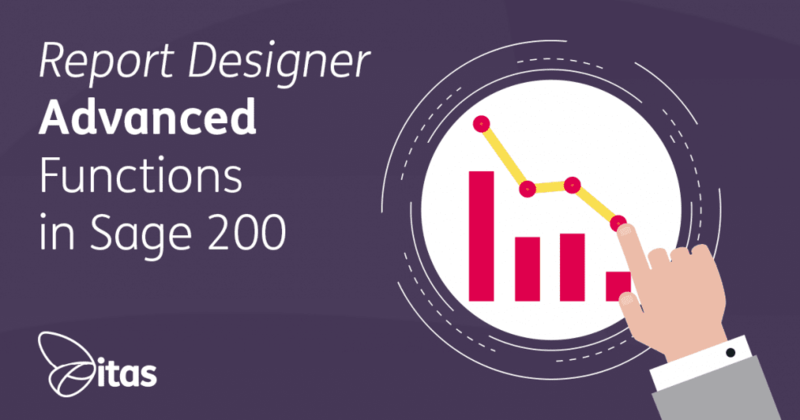 Why not take a look at our at our short e-course on Sage 200 Report Designer. Alternatively if you want to know about any other advanced functions in Sage 200 Report Designer, why not get in touch with one of our friendly team?